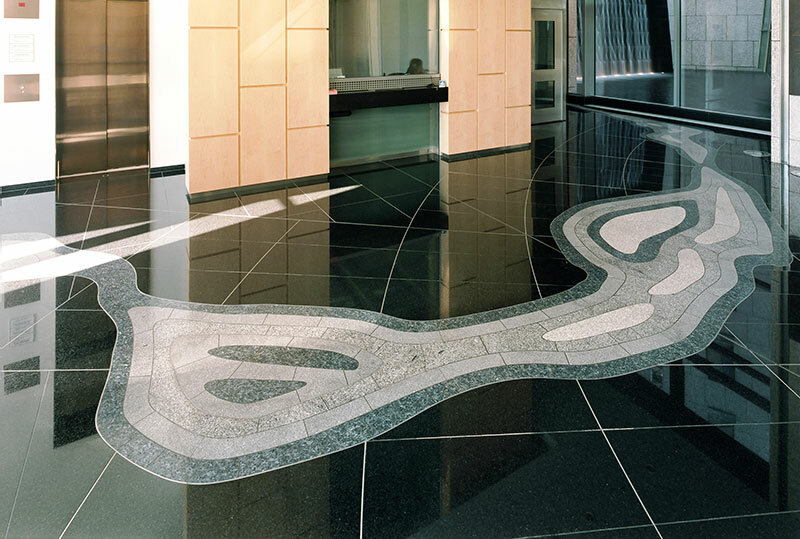 Design of floor inlay for the Reception Hall of the new Canadian Embassy in Berlin. 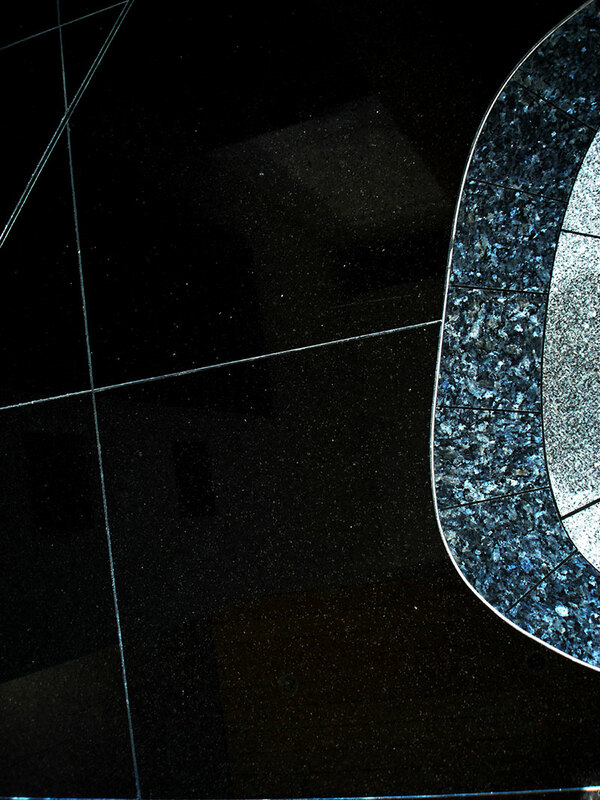 Laser-cut quartzite and granite inlay. 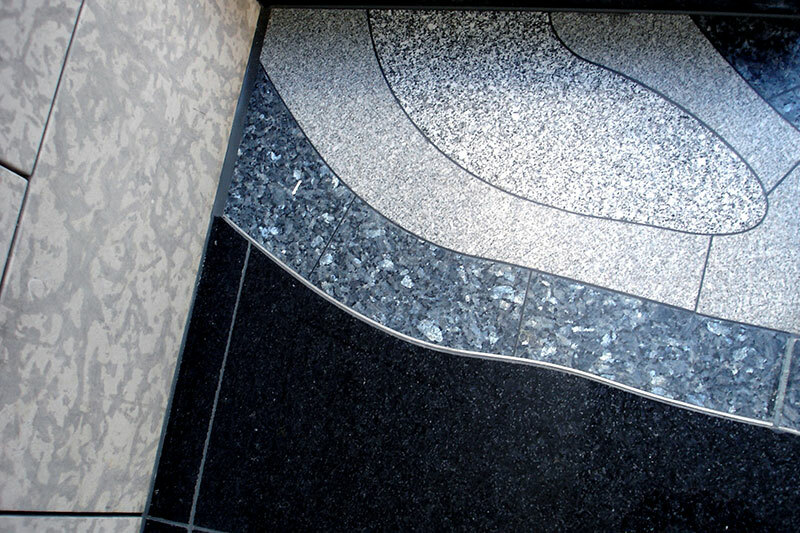 Stainless steel strips delineate latitude and longitude. 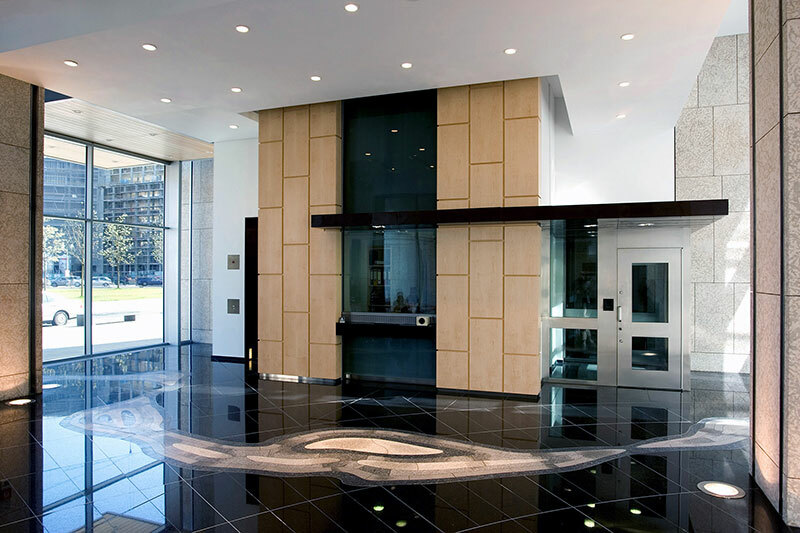 A natural boundary in the reception area, the inlaid river resembles a bathymetric map of water depths or an ice floe beginning to thaw. It suggests Berlin’s many rivers as well as Canada’s. It is also a ‘ghost border’, a reminder of ‘no man’s land’ (1961-1989) where the embassy now stands. Surface 86 m2 (925.7 ft2). Commissioned by the Department of Foreign Affairs and International Trade (DFAIT), Government of Canada.